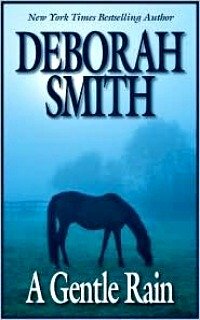 I stumbled across Deborah Smith's books back when The Crossroads Cafe was offered as a free Kindle read, and I just absolutely loved that book and Smith's smooth southern style. I was interested in making A Gentle Rain the second Smith book I'd read when I realized that it was set in the rural northern Florida that I fell so in love with during my fourteen years living in Gainesville, FL. There's a definitive difference between, say, the northern-Florida south and the Carolinas south, and one of the true gifts of Smith's A Gentle Rain is that if you're familiar with both, you can clearly see that difference reflected in the scenery and the people that inhabit this sweet, meandering tale through the Florida back country in summer. In it, Kara Whittenbrook, a richest-of-the-rich heiress to a billion-dollar fortune has just lost her environmentalist, tree hugging and progressively hippy parents. While Kara certainly wanted for nothing in her life, the fact that her mother and father raised her in various small villages of indigenous cultures in South America (when she wasn't attending boarding school or Yale University) certainly added a layer of compassion and humanity to the not-so-delicate blue blood. 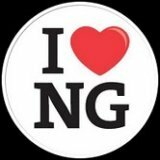 But when going through her parents things following their death in a small plane crash, she finds something that rocks her world and shakes her down to her foundations. The mother and father who raised her are not the mother and father who birthed her. In fact, her biological parents, Mac and Lily, are two simple people, gentle but wise souls, who live with a few cognitive disabilities that label them, however unfairly, as mentally challenged. And Kara is going to do everything she can do to meet them and find out why they didn't want to keep her, or perhaps find out if they couldn't. Ben Thocco is a wild and rangy cracker cowboy eking out a meager existence in northern Florida while running his ranch and giving, in such a quietly heroic way that he doesn't even realize it, a small group of truly special people a respectable career and self respect, an honest wage and a true understanding. He raises beef cattle and breeds cracker horses, and he takes care of his physically and psychologically disabled brother, Joey, as if his life depends on it. And when the crazy and perhaps a bit psychotic horse that his brother and extended family - the special souls that make up his hired hands - begged him to take on slips free of his property and races across the path of one rich heiress posing as the fictitious Karen Johnson, causing a bit of a dent to Kara/Karen's car and a huge dent in Ben Thocco's easy southern life...and an even bigger dent in his heart, nothing will ever be the same for any of them. A truly gentle rain falls on their lives, bringing hope and life, luck and love. I really, really enjoyed A Gentle Rain. 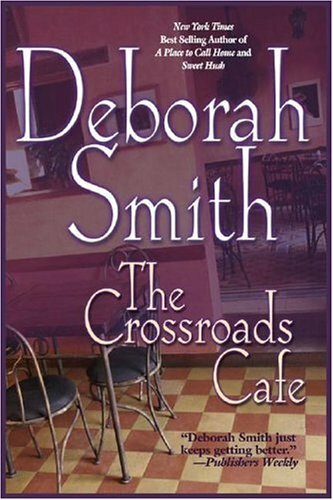 In fact, the only reason I didn't rate it higher was because as a romance novel, I found the romance between Ben and Karen/Kara to be a bit too slow-developing to really move me or touch my heart like Smith did so effortlessly with The Crossroads Cafe. All other aspects of A Gentle Rain were fantastic, and bordered on the sort of profound truth that you can only see when you spend time with people with disabilities. There was a wealth of wisdom here, falling down like - well - like a gentle rain, and a warm, cozy, loving sense of familiarity with places and people I've loved. It was sort of like a long awaited trip home for me and I really enjoyed it.